Now that you have your eBay Store created and designed the way you like it, it’s time to bring it to life by actually advertising the items that you want to sell! Hold on, though… there are several elements that go into creating a good listing. These include a thorough description of what your item is, a careful consideration of what price and selling format you want to go with, and a plan for getting your item to whoever buys it. It’s an involved process, to be sure, but eBay makes it easier than it sounds. This lesson will tell you everything you need to know, including how much creating a listing costs (spoilers: it’s usually free! ), some things you should do before you start, and a step-by-step walkthrough of how to get your item advertised for sale on eBay. How much does it cost to list items on eBay? eBay’s listing fees differ depending on the type of item that’s being advertised, the type of listing itself (i.e. “auction-style” vs. “fixed price”), and the type of Store that you have (if any). Generally, you are given a certain number of free “auction-style” or “fixed price” (or both) listings per month, and then are charged extra money for each one you create beyond those limits. Here’s a breakdown of how many free listings you get per month, along with how much extra ones cost. Note that for an auction-style listing, you can be charged extra fees if you set its length to be unusually short, or set a “reserve price” to avoid selling the item for less money than you want to make off it. However, you can increase your limit of free auction-style listings for a particular month if an item in an auction-style listing sells AND you have any type of Store. Also note that certain categories of items aren’t subject to standard listing fee rates, and therefore, don’t count towards your monthly allotment of free listings (and can’t increase your monthly free auction-style listing limits if they sell at auction). 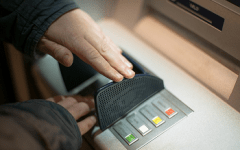 Examples include motorized vehicles (such as boats, cars, and motorcycles), real estate, and certain classes of industrial equipment (such as printing presses and other heavy imaging machines). For a full explanation of fees, see our article on eBay seller fees here. 1. 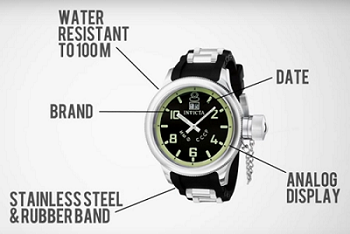 Research and write down as much descriptive information about your item as you can. A big part of whether your item will fetch a good price in an auction – or sell at all – is if prospective buyers know what they’re getting. Find out as much information about your item as you can, and write down key points like brand, material(s), colour, size, serial number, country of origin, condition, notable features or markings, or extra parts. Also be sure to use a smart phone or digital camera to take at least four photographs of the item to show it off from different angles, and load these onto your computer ahead of time. This helps to ensure that you have everything you need to describe your item on-hand before you even create its listing. eBay itself has some tips on YouTube for how to take photos of your items, as well as how to write titles and descriptions for them, in order to generate interest and get people buying and bidding on them as soon as possible! 2. Decide which selling format(s) you will use to sell your item, and what your item’s price or opening bid will be. What your item is – and what your goal is in trying to sell it – will affect whether you choose an “auction-style” listing (to find out what your item is worth) or a “fixed price” listing (to make at least a certain amount of money off an item). 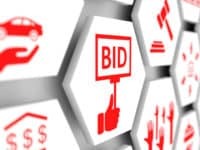 However, there are other options that you can choose, depending on your needs, such as allowing users to buy an item up for auction immediately, or allowing them to submit alternative price offers for your item. 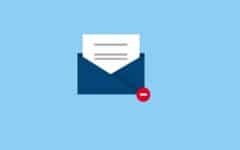 See our article on eBay selling formats for descriptions of the various formats, as well as advice on when you should use them. You’re also going to need to determine what the opening bid (for an “auction-style” listing) or sale price (for a “fixed price” listing) will be. You’re going to want one low enough to attract buyers, but high enough that you stand to make at least some money. Also be sure to take into account any selling fees that you may incur. Searching around for the prices or opening bids of similar items should give you an idea of what your ballpark should be. 3. Prepare your item for shipping by “test packing” it and measuring the package’s dimensions. It’s usually a good idea to get your item ready to ship before you even list it. This cuts down greatly on handling time, which lets you get your item to its buyer faster, which generally makes them a happier customer! Make sure that you have the necessary packaging materials on-hand, and do a “test packing” of the item (i.e. pack it but don’t tape it shut). Once you have the item “test packaged,” measure the weight and dimensions of the package with the item inside. 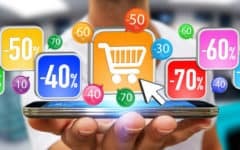 You will need these statistics if you wish to charge your buyer exact shipping costs, or if you wish to estimate fixed shipping costs to charge your buyers by using eBay’s shipping calculator (which, incidentally, you will need to log into your eBay account to use). 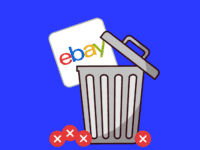 See our lesson on how to ship items sold through eBay for more information and tips. Unless you’re selling a whole bunch of stuff (which you likely won’t be allowed to do early in your selling career anyway), the easiest way to advertise an item for sale on eBay is by using the quick listing tool. This gives you help such as price estimates and other research advice. Here’s how to use it. 1. Log into your eBay account. Using your web browser of choice, navigate to www.ebay.com and log into your account. 2. Enter eBay’s selling section. In the top-left portion of the home page, click Sell. 3. Describe the item for sale. On the next page, click in the box labelled “Give Your Listing a Descriptive Title.” Type in some basic information describing the item that you wish to sell, as if you were writing a classified advertisement for it. Then click Sell It. 4. Pick a category for your item. Based on the description that you gave of your item, eBay will try to guess what category it falls into. You can click one of the buttons beside the category in which you think your item belongs, or you can click Select Another Category and click through a hierarchy of categories until you find the one that best fits your item. 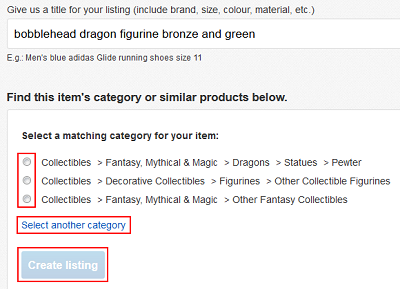 Once you’ve found the right category, click Create Listing. 5. Add details about your item. Click in the box marked “Title” and give your listing a title. Try to use words that describe exactly what your item is, such as what colour it is, the brand that made it, its (relative) size, and so on. You can also click the drop-down menu marked “Condition” and indicate whether your item is New or Used; however, you are not required to do so. The next thing you should do is add photos of your item so that buyers can actually see what it looks like. Click Add Photos, navigate through the explorer window that appears until you find a picture of your item that you want to display, click the image, and then click Open. Once an image is uploaded, you can click the pencil icon in the top-left corner of the image to make adjustments to it (rotate, crop, brighten/darken, etc. ), or click the trash can icon in the top-right corner of the image to remove it. You can also click and hold the mouse button down on an image and drag it to another position, and then release the mouse button to re-order your images. If you wish, you can also click the check box beside “Item Specifics” and select additional details that may be applicable to describing your item, such as country of manufacture, brand, size, etc. Again, though, this is not required. Finally, you should click in the box marked “Details” and type out a description of your item that is more detailed than its title. Include information such as your item’s brand, colour, size, serial number, etc., what condition the item is in, whether or not the item has any notable features or markings (such as if it’s autographed), and what the item comes with (if it has any extra parts, etc.). 6. Select a selling format and price. Initially, you will have two choices for a selling format for your item: Auction and Fixed Price. Click on one to see the options available for that type of listing. If you select Auction, click in the box labelled “Starting Price” and type in an opening bid for your item (you will get a suggestion based on the type of item you’re selling). If you want to give prospective buyers the choice to purchase your item immediately instead of bidding for it, click the check box beside “Add Buy It Now,” and then click in the box labelled “Buy It Now Price” and type in a fixed price for your item. You can also click the check box beside “Add a Reserve Price” to set a minimum price that you want your item to sell for; note, however, that you will have to pay extra money for this regardless if your item sells or not. If you want to use this option, click in the box labelled “Reserve Price” and type in your reserve price. If you select Fixed Price instead, click in the box labelled “Price” and type in how much you want to sell the item for. You can also click the check box beside “Add Best Offer” if you want to allow potential buyers to make price offers for your item. 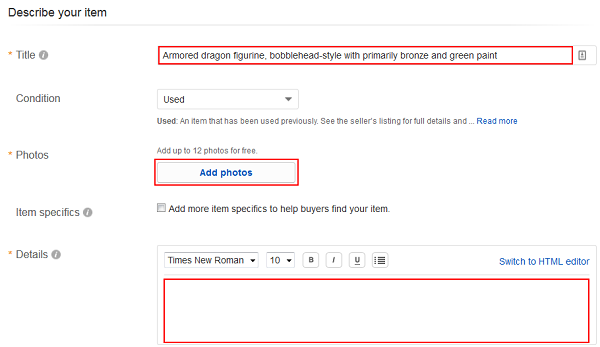 Then, click in the box labelled “Quantity” and type in the number of copies of your current item that you’re selling. Regardless of your choice, click the drop-down menu labelled “Listing Duration” and select how long you want your item to be available for (note that durations will differ between “Auction” and “Fixed Price” listings). You can also click the check box beside “Schedule Your Listing’s Start Time” if you want your item to become available at a later time; note that this feature costs extra money to use. However, if you want to use it, click the calendar icon and select a date that your advertisement will be published, and then click the drop-down menu next to it to select what time your item will be available. 7. Specify your shipping options. You will always have at least two options for how you’re going to get your item to a buyer if it sells: Select Shipping Myself or Offer Local Pickup Only. Depending on what you’re selling, you may also be able to choose Select Shipping for Me. If you click Select Shipping for Me, shipping options will automatically be suggested for you based on how similar items have been shipped in the past by other sellers. If you click Offer Local Pickup Only, you won’t need to ship your item, but anyone who buys it will have to visit your locale in order to pick the item up in person. If you click Select Shipping Myself, you can manually designate your shipping parameters. First, click the drop-down menu beside “Shipping Option” and select either Charge Actual Cost or Charge a Fixed Cost. Depending on which one you select, your options will differ. If you click Charge Actual Cost, the shipping cost that a buyer must pay for your item will automatically be calculated, based on both the buyer’s location and the weight and dimensions of your item plus its packaging. Under the “Package” heading, click in each of the boxes on the right side of the page and type in, respectively, the length, width, and height of your item (when fully packaged). Then, click in the boxes on the left side of the page and type in the weight of your item (or click the drop-down menu and select a general weight range). Then click the drop-down menu labelled “Service” and select which postal service you will use to ship your item. 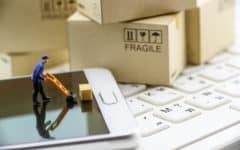 If you select Charge a Fixed Cost instead, you will charge a flat shipping cost to all buyers, regardless of where in the world you have to ship to. This cost will show up in the item listing itself. 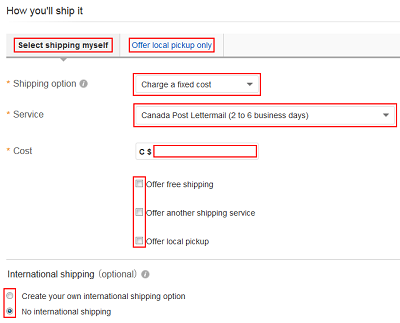 Like before, you will have to select a courier service to ship with, but you will also have to click in the box labelled “Cost” and type in how much you want to charge for shipping. You will also, again, have the options of offering free shipping and/or an alternative shipping option (but you will have to specify an alternative cost as well for the latter). You will also be able to click the check box beside “Offer Local Pickup” if you want a buyer to be able to simply pick up the item in person, instead of having you go to the trouble of shipping it to them. Below “International Shipping,” you can also choose whether or not you want to offer your item for sale in countries besides your own. If not, click the button beside “No International Shipping.” If you do, click the button beside “Create My Own International Shipping Option.” Like when selecting your regular shipping options, you will have to select to charge the actual cost of your shipping or to charge a fixed cost, as well as select which courier service you will ship with. You will also need to click the drop-down menu beside “Destination” and select what other country you want to ship your item to (or select Worldwide if you want to allow a buyer in any country to be able to purchase it). Like before, if you choose to Charge Actual Cost for international shipping, you will need to enter the weight, dimensions, and type of your package in order to calculate your shipping costs (note that you will not need to do this if you selected Charge Actual Cost for your regular shipping options, too). Or, if you choose to Charge a Fixed Cost for international shipping, you will have to enter that cost manually instead. 8. Enter remaining required information. 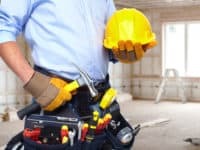 There are a few final settings that you have to take care of before your listing is complete. 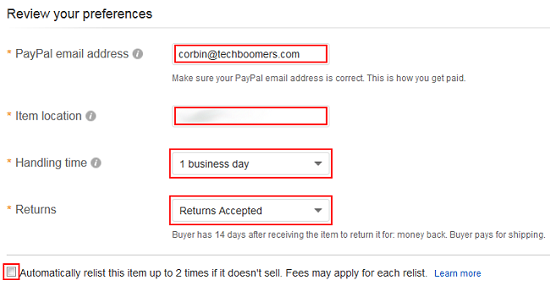 First, click the box beside “PayPal Email Address” and type in the email address that corresponds with your PayPal account. This makes sure that eBay knows where to send your money to when your buyer pays for your item. 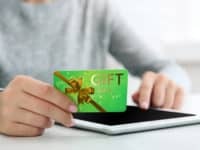 See our article about how to get paid on eBay for more information about how – and when – you get your money. Next, click the box beside “Item Location” and type in your regional mailing code. This not only lets eBay know where you’re shipping from, but it also lets buyers know where you’re located in case they want (or have) to pick the item up in person. Next, click the drop-down menu beside “Handling Time” and select how long you think it will take you to get your item to a shipping station after it has been purchased (HINT: shorter is usually better; you don’t want to keep your customers waiting!). Next, click the drop-down menu beside “Returns” and select whether you are willing to let a buyer return the item if they are unsatisfied with their purchase (HINT: this is usually a good idea; it demonstrates good customer service, which is attractive to buyers). Finally, you can click the check box at the bottom to indicate that you would like to automatically renew this listing up to twice if it expires before your item sells. 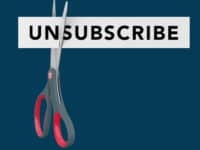 Note that these renewals count towards your monthly allotment of free listings, and may result in extra fees if they take you over your monthly limit. 9. Review and confirm your listing. Before you make your item available for sale, be sure to take at the “Listing Fees” box on the right-hand side of the page to see how much your item will cost you to list. If everything looks good, click List It. Congratulations! That’s all there is to offering an item for sale on eBay! 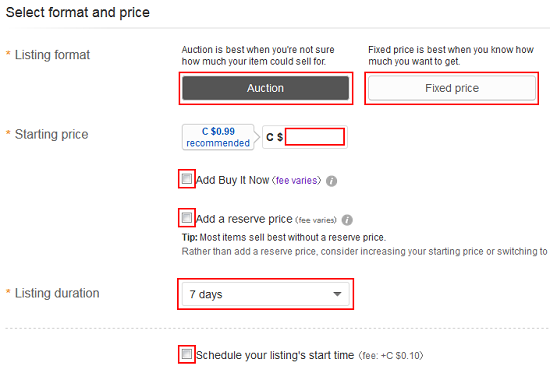 Now, you’ll just need to watch your item to see if anyone buys or bids on it, which we can show you how to do. Once your item sells, we can also show you how to ship it, as well as how and when you’ll get paid for it. If you need to cancel your listing because you made a mistake or something happened to the item, we can even teach you how to end it early.